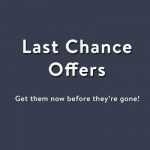 Last Chance Offers - Don't Miss Out! Last Chance Offers - Ending soon! 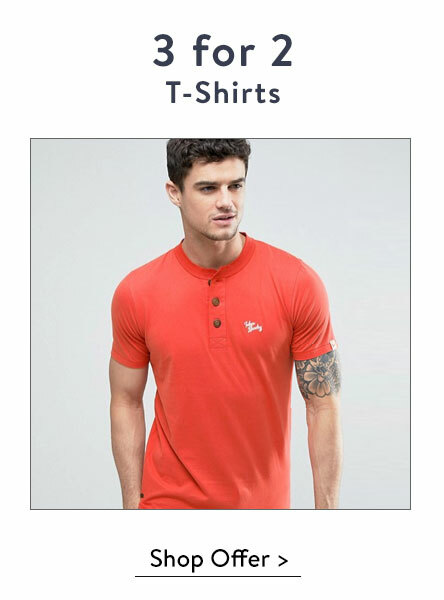 Buy 2 T-Shirts and get the 3rd for free! Mix and match from over 90+ styles - from all your essential Tokyo Laundry basic tees to your favorite graphic motif styles! 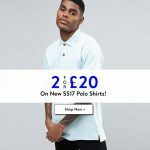 Simple add your 3 favourite t-shirts from this offer into your basket and the discount will be applied automatically at checkout. 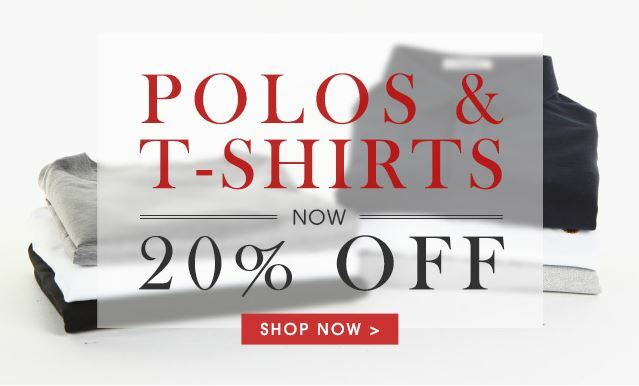 Last chance to get 2 polo shirts for only £20! 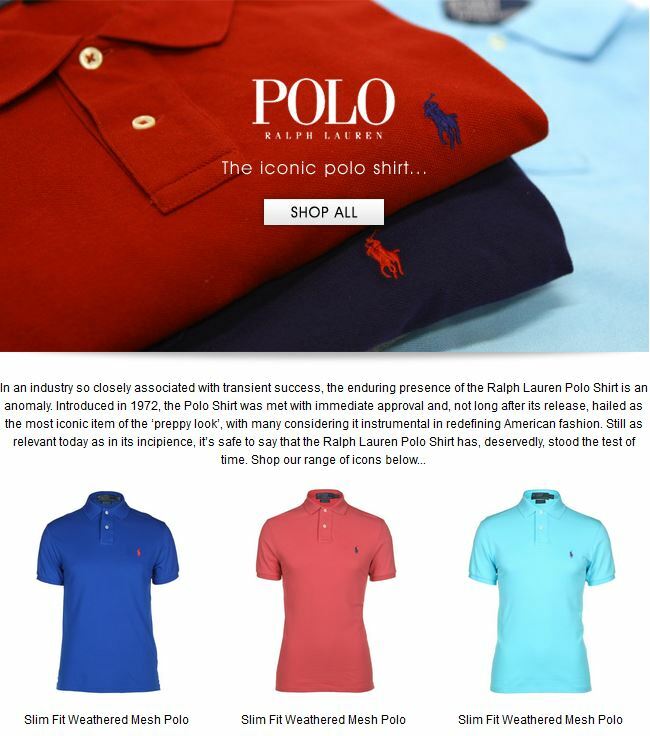 Save £9.98 when you buy 2 Polo Shirts from this amazing offer. Two Easter Deals This Weekend! 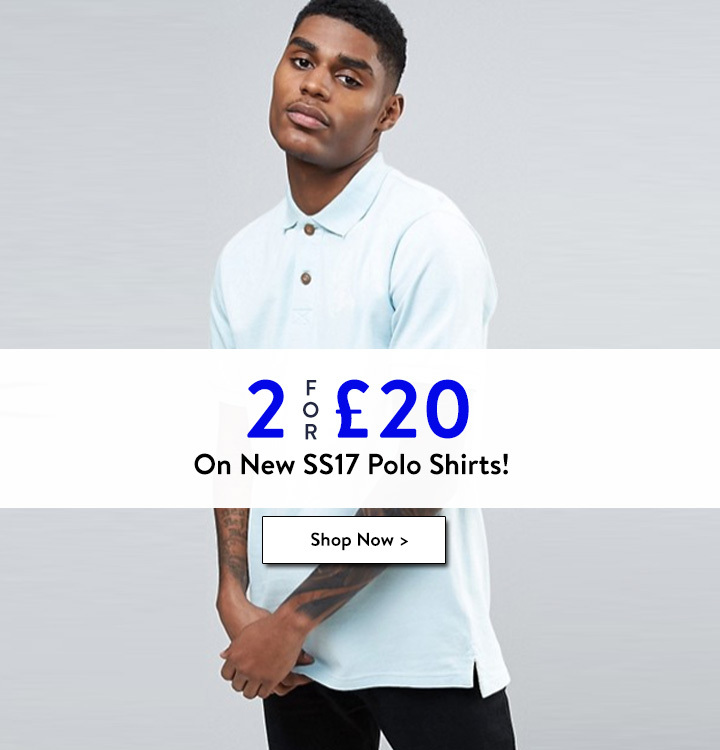 2 FOR £20 on new SS17 Polo Shirts! 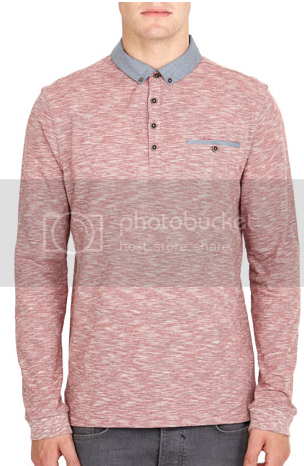 Tons of new styles in our brand new 2 for £20 Polo Shirt offer - ranging from pastel colours for the summer, grindle textures and tipped collar edges which are all popular choices! 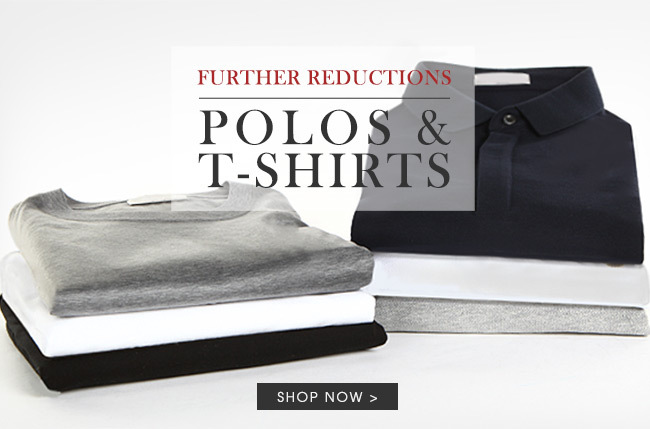 You'll be saving up to £9.98 when you buy two polo shirts this easter weekend! 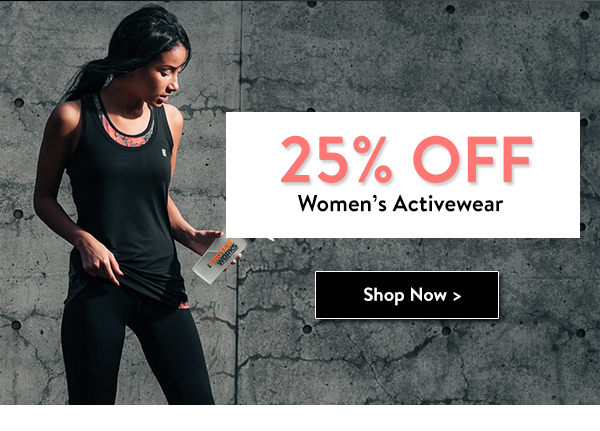 Get your gym wear staples from our latest women's activewear collection at 25% OFF! Exclusive to Footasylum (and one other retailer who we won't mention) is Puma's Pro Green's new collection, Honey Badger! The influence of the honey badger and his habitat is keenly felt throughout the collection and the campaign imagery. The Honey Badger is fearless and will stand up in the face of intimidation from the most ferocious of predators, something Professor Green can relate to. Professor Green’s style is never brash or overly aggressive, but instead smart and understated. Check out the new Nike Air Jordons at Footasylum and keep your eyes peeled for tonight's new launch at midnight. We're very excited to announce the new footwear arrivals of the premium brands Cruyff and Lacoste! Johan Cruyff was always known for his ability to effortlessly hold the attention of crowds, and the latest colour ups of the Paco and Alano silhouettes do just that. The Paco is an elegant, finely crafted all-purpose sneaker that dons a smooth leather upper with minimal detailing on top of a smooth cup sole, while the Alano makes a bold statement through the brand's famous mix of materials including patent leather, canvas and suede. Rene Lacoste placed a wager with his fellow teammates in 1928 that meant if he won his next match, they would have to buy him a set of crocodile skin suitcases. The 1928 Tribute Collection was inspired by Rene's love of travel and the bet over his crocodile skin luggage that, in turn, led to his famous nickname. You'll find the infamous crocodile skin detailing on the tongue and heel of this low-profile deck shoe, the Imatra. Rene 'Le Crocodile' Lacoste may have been tenacious on the court, passionate and meticulous in his style, but the 20's tennis champion has since transformed into an emblem that embodies the fusion between sport and fashion. These two mid-cut silhouettes, the Amphill and the Clavel, reiterate Rene's immaculate style through a combination between premium fabrics, minimal detailing and subtle colour pops. We've got one for the ladies, the brand new Vans Womens Authentic Slim silhouettes. While the Authentic remains at the forefront of the classic range, the Authentic Slim offers a new perspective to the summer classic with a more slim-line physique for a modern, feminine look and fit. As if that wasn't enough already, Vans have also included the silhouette in the commemorative pack for the late great Vans founder, Paul Van Doren. The three washed canvas versions combine popping pastel colours with a pearl white sole, while the Van Doren editions call upon some of the classic prints and patterns from deep within the Van's 50-year archive. It’s that time of year again, and the summer sale season launches online exclusively tomorrow at 6pm. With up to 50% off sneakers and apparel from our leading brands, including Vans, Toms, Adidas, and Jack & Jones, customers can pick up some serious steals without even having to dig deep. So be ready and keep your eyes peeled for a bargain! As it's a jam packed weekend with the football and Father's day we've promoted some of our top men's apparel and footwear! 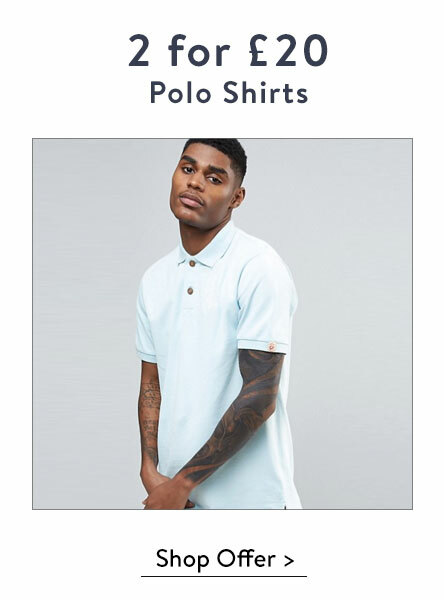 So we’ve narrowed down our wide variety of Dad-pleasing-apparel down to three of the time-warping outfits we could create, with low profile sneakers, premium polo’s, and short-shorts that will have him reminiscing about the good old days. And also not forgetting out 10% off code FADAD, expiring midnight 17/6/2012. I hope you are well and looking forward to the long Jubilee weekend and to cheer you up even more we have some special Jubille treats for you below. It’s time to grab the bucket and spade and get to the beachside sharpish, because there’s no telling how long this glorious sunshine will last. We’ve got a handful of vests for the tan line seekers, ranging from the casual Hollywood Vest to the gothic Anti Hero. If you turn in to a lobster in the sunshine though, play it safe and stay on form this summer with big graphic tees like the King of Stones tee from Condemned Nation or our nautical offerings from Religion. Either way, you best start early on the pasty white’s and let your legs breath! Chino shorts are going to take the lead over the coming months, and Bellfield and Asylum both deliver, while Bravesoul still carry the cargo look. With it coming up to the last week before payday I thought we would give you a sneak preview into our top 10 sale items with savings of up £45 on branded footwear and clothing. We’ve got some big discounts on Adidas trainers, Adidas polo shirts, Vans trainers and plenty more. Not only are we offering our customers some great discounts but we’re also offering Free Delivery when they spend over £50 and 10% off their first order with code MAy2012 expiring midnight 31/5/2012. I hope you are well and looking forward to the Bank holiday weekend. There isn’t a sport known to man that Nike haven’t dominated. They’ve been creating performance silhouettes since they started, without ever compromising on style. This week, we bring you a roundup of their finest basketball silhouettes that still scream style, decades since they first stepped onto the courts. The Dunk launched in 1985 and quickly became a popular shoe within the skateboard community, with its supportive cupsole and padded tongue. These 2012 re-ups offer a further reinvention still, with premium touches like the leather laces and contrasting eyelets, and plaid lining to finish the look. The Blazer has experienced an explosion in popularity of late, but still remains a must-have in the eyes of sneakerheads despite being rocked by all kinds of celebrities and stars. The shoe carries the vintage treatment better than any other Nike currently in production, and the latest colour offerings cover a range of pastels with complementary accents that are sure to pop. I hope you are well and not letting the weather depress you too much. This week we’ve created a news blog for all those lovely girls and women out there. 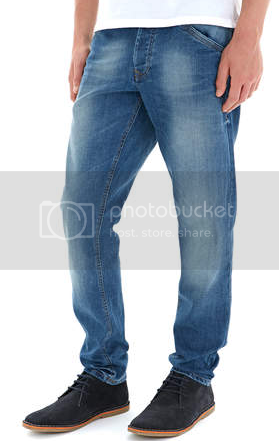 The top six most popular brands from Vans, Converse, Toms, Flossy, Birkenstock and Scholl. As a brand built around the simple premise of ‘One for One’, TOMS are a brand that quickly earned their status among the most profound shoe brands in history. The greater good is what they’re all about. Established over 25 years ago, Flossy have taken Ibiza style worldwide combining style, comfort and the most vibrant colour variations imagineable. Whether you’re staying at home this summer, or heading abroad, stand out in Flossy – A summer must have. Birkenstock have been making footwear for the body and mind for over 200 years, designed to reflect the natural form of the foot, but without compromising style over comfort, offering a variety of footbed designs, bold coloured fabrics and features to suit every individuals preference. Doctor turned shoemaker, Dr William Scholl, fell on a footwear revolution when he invented his first shoes in 1904. Scholl’s spring offerings are premium sandals with affordable price points, made with contemporary spin and over a decade’s worth of expertise. I hope you are well and looking forward to the weekend. I hope you are well and looking forward to Easter. We have some Eggciting (sorry couldn’t resist) new launches again this week that have already proven very popular with our cool Footasylum customers. A new range of footwear, clothes and even some hot new sneakers and Toms for the junior trendsetters. Now summer has arrived we thought we would introduce you to our new summer collection that has only just arrived this week.